Ħamrun Spartans made it three wins in a row as a goal by Kevin Tulimieri midway through the second half gave them a narrow win over Senglea Athletic. 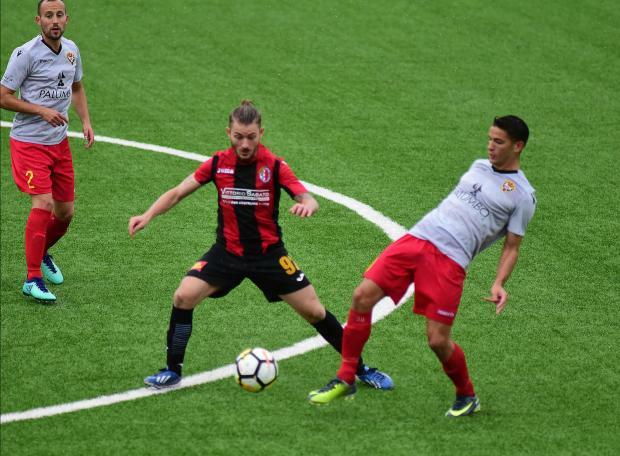 The Spartans made their intentions clear right from the start and threatened the Senglea rear-guard after just two minutes when Antonio Monticelli, served by Nikolopoulos, had a rising shot turned into a corner in style by Matthew Farrugia. Wilfried Domoraud had a shot from the right blocked into a corner by Farrugia on the 9th minute. Matthew Farrugia came to the rescue once again on the 22nd minute with a good save on an angled shot from the right by Marco Criaco. Four minutes later, Caetano Calil controlled a good pass inside the area but hit low from close range. The Senglea goalkeeper was prominent once again with a good save on Caetano Calil direct from a corner from the left three minutes in the second half. Two minutes later, a powerful drive by Domoraud was turned into a corner and from the resulting corner, Calil’s effort was parried by the Senglea custodian. Just past the hour, Matthew Farrugia turned into a corner, a cross from the left by Calil. Ħamrun finally managed to break the deadlock on the 68th minute when off a Caetano Calil corner from the left, Kevin Tulimieri headed the ball home past goalkeeper Farrugia. Senglea hit back with an assist by Matias Garcia for Augusto Rene Caseres but the latter’s effort was neutralised by Manuel Bartolo a minute later. However, this was the only attempt at goal in an otherwise timid reaction by the Cottonera side. In fact, Ħamrun could have even extended the lead one minute from time through substitute Ryan Darmanin whose conclusion from outside the area ended just wide. Ħamrun's Kevin Tulimieri was named BOV Player of the match.